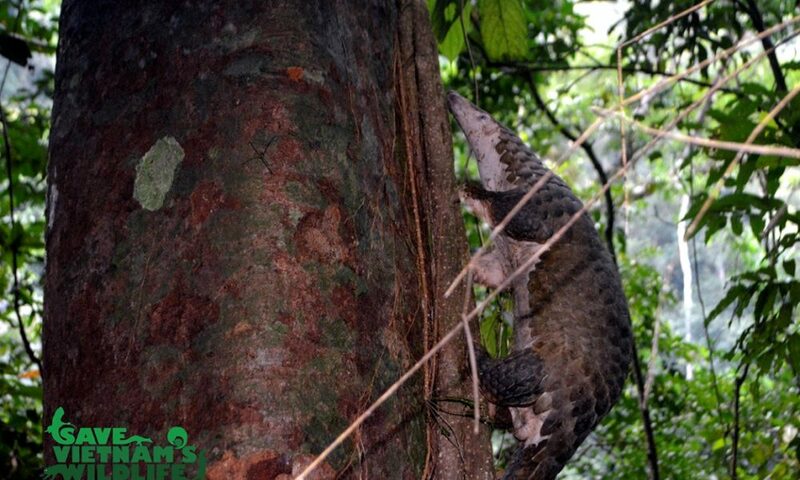 Monday 14 November 2016, Cuc Phuong National Park and Save Vietnam’s Wildife released 46 Sunda Pangolins to a safe and secret location where this specie used to live. After surviving a cruel ordeal in the illegal wildlife trade, these pangolins have a second chance of life. 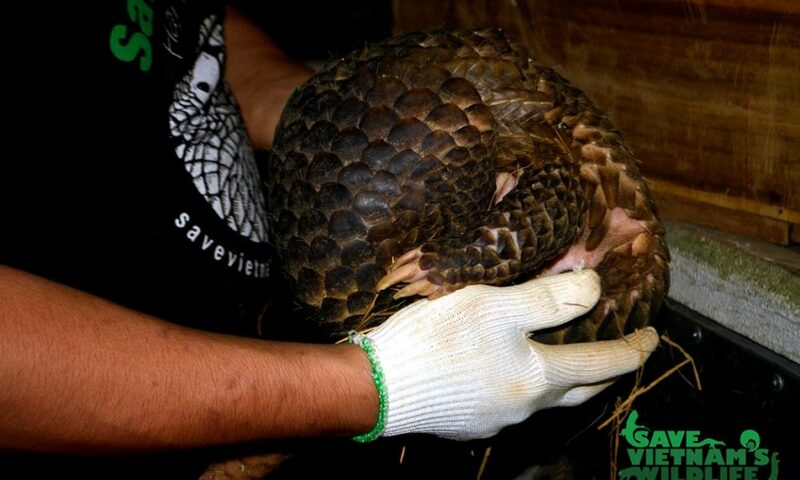 This release is the largest ever safe release of pangolins by the rescue center. Most of the pangolins released were from a confiscation In Thai Binh province, where government authorities seized a truck containing 61 live pangolins packed in ice and 37 Big-headed turtles. Nine of the confiscated pangolins died due to injuries sustained in the illegal trade, while others are still recovering at the CPCP. 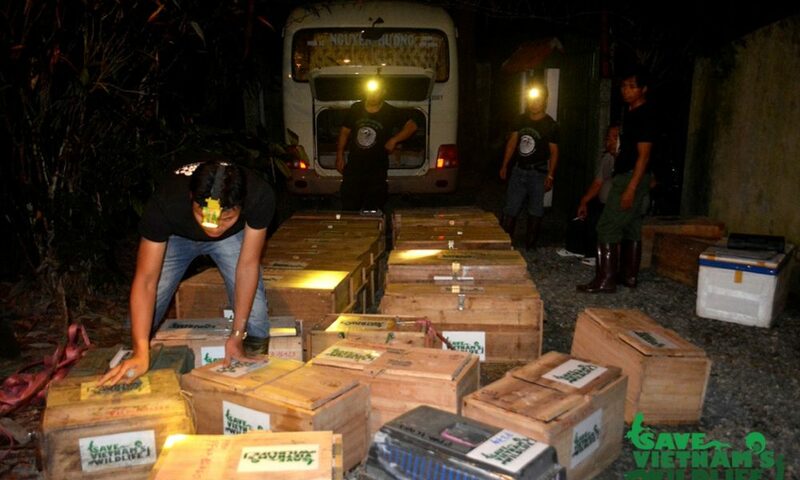 Forty –two pangolins passed health checks and were micro-chipped prior to release. Pangolins are the most traded animals in the world. Vietnam has two species (Sunda Pangolin and Chinese Pangolin) and both species are critically endangered, which means both are in imminent threat of becoming extinct in the wild. This latest release will bring to a total of 99 Sunda Pangolins successfully released by Save Vietnam’s Wildlife in the last three months.